New Energy Works Timberframers is bringing the innovative building technology of Cross Laminated Timber (CLT) construction to Western New York. They are building the first complete CLT structure in New York State at their headquarters in Farmington. First complete CLT building in New York State. New Energy Works is constructing the project to house their fine woodworking division. Cross Laminated Timber (CLT) construction, an economically and environmentally conscious alternative to steel and concrete construction, is being introduced in the first full CLT building in New York State by New Energy Works Timberframers. Known throughout the industry as innovators and a people and planet focused company, New Energy Works broke ground for the foundation of their CLT building last week. 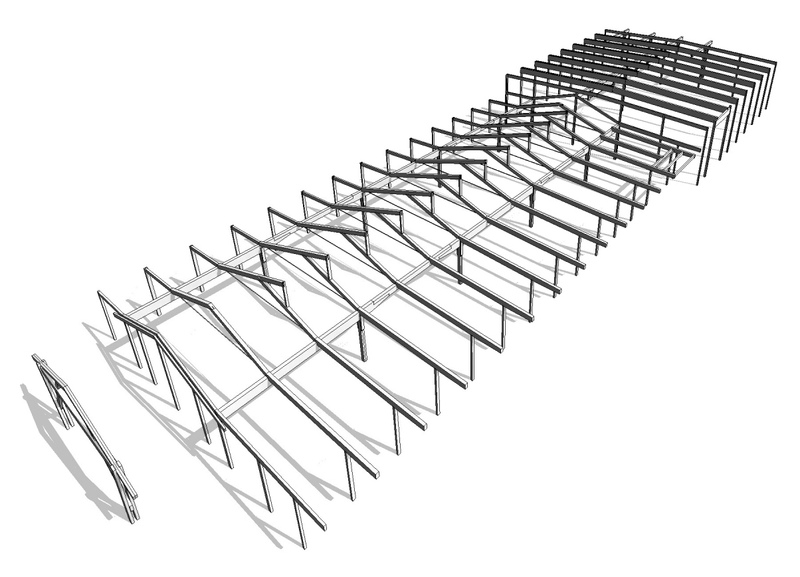 “The CLT panels are pre-designed, highly engineered, of superior quality with precise tolerances – all specific processes and requirements that are fundamental to our timber framing craft. This fits perfectly with our traditional work and parallels the SIPs integration that we’ve spearheaded for years,” explains Orpin. In February of 2015, New Energy Works’ fine woodworking division, NEWwoodworks located in Shortsville, NY, suffered a catastrophic event as half of the roof collapsed over their 70-year-old building (no one was injured). The CLT project will be a 21,000 sq ft, single level building, an expansion to New Energy Works' main campus, to house both NEWwoodworks and provide storage for Pioneer Millworks (sister company to New Energy Works) reclaimed wood products. “We could have re-built in Shortsville, Farmington, or Oregon (where there is lots of skilled labor), but largely because of the IDA’s Industrial Development Agency support and our commitment to Western New York we choose to use the opportunity to consolidate our groups into one campus location in Farmington. We anticipate this will make communication easier and allow us to better serve our clients,” continued Orpin. The new building will stand alone at New Energy Works and Pioneer Millworks Farmington NY headquarters. NEWwoodworks’ manufacturing equipment and craftsmen will be entrusted with 13,000 sq ft while Pioneer Millworks will utilize 8,000 sq ft for reclaimed wood storage and shipping. Groundbreaking for the foundation just began on November 15, 2016 behind the company’s timber frame shop. New Energy Works designs and builds environmentally responsible timber frames across the USA from their New York and Oregon facilities. The company offers Timber Framing (design, engineering, manufacturing, build), Enclosure Systems, Fine Woodworking, Recycled and Sustainable wood products. New Energy Works has LEED AP staff members, is a member of the US Green Building Council, and is FSC Certified. New Energy Works is combining the strength of timber frame construction and CLT panels cutting the wake for New York State in this innovative construction method with their campus expansion. 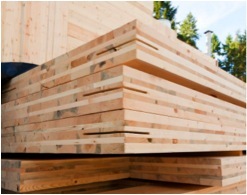 Exceptionally strong and sustainable, Cross Laminated Timbers (CLTs) are wood panels typically consisting of three, five, or seven layers of dimension lumber. A gymnasiam in Washington DC construced with CLTs. Wood is a naturally occurring and renewable resource which stores carbon and is an alternative to traditional steel and concrete.